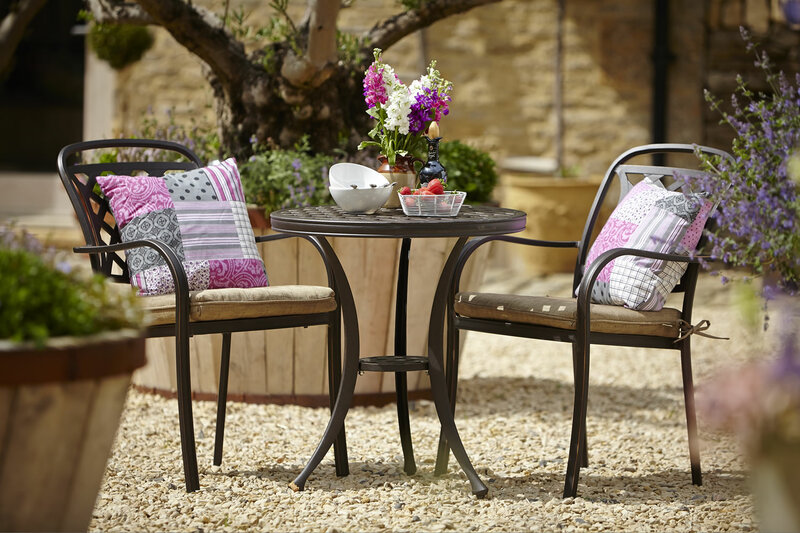 The Berkeley bistro set makes a perfect addition to places where space is at a premium, such as a sunny balcony or small patio, but can also make a quaint and stunning feature to a quiet corner of larger gardens. 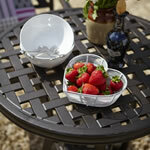 The set accommodates two comfortably and can be left outside all year round with no need to cover. Made by Hartman as part of the Berkeley range, the set looks great on its own or when paired with other products from the series. More Berkeley products can be found here. 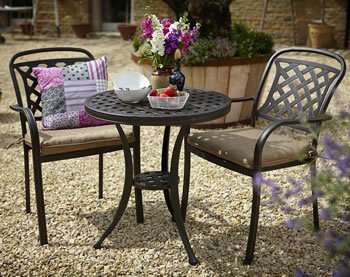 The Berkeley bistro set is a great product, providing a place for two people to sit back and enjoy their garden. It looks great in smaller spaces or even in a secluded corner of larger gardens. Made by Hartman as part of the Berkeley range, additional seats and accessories are available. 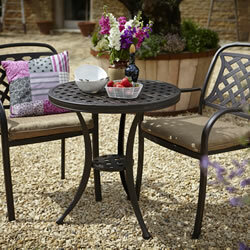 As a result, the bistro set looks great on its own or when paired with other products from the series. As with many Hartman products, the Bistro set has been made from high quality cast aluminium, presenting an number of benefits. The material gives the product a lightweight structure, while also maintaining strength and durability. 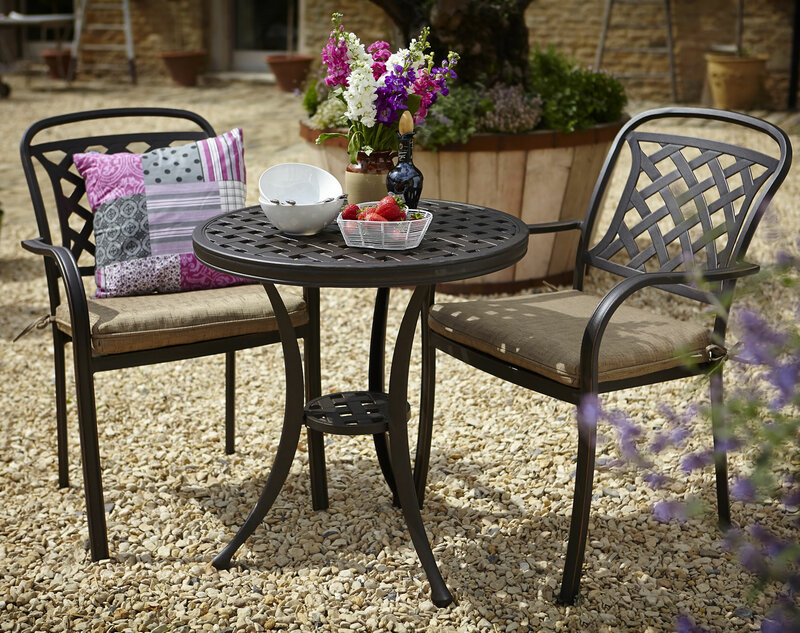 The aluminium also means that the table and chairs are rustproof, allowing them to be left out all year round. Thanks to the low maintenance design, there is little that needs to be done to keep the Berkeley Bistro set in top shape. However, from time to time you may wish to give it a clean, and this can be achieved with some warm soapy water. Simply give the furniture a light rub down and rinse soap away with a hosepipe. The cushions can also be cleaned with soapy water or can be machine washed at 30º. While wet, plump the cushions back into shape and leave to dry.